Happy Monday dolls! I hope you all had a great weekend. Today I have photos for you of Cirque Electric Circus, a matte neon rainbow glitter topper. The glitter did settle a little, so you can see some base at the top of the bottle. The glitter was relatively dense and applied nicely in one coat. Electric Circus is shown over KBShimmer Eclipse. I really like the size of the glitters in Electric Circus. The mix of glitters would look great over a variety of bases. Many thanks to my love Marisa of Polish Obsession for getting this one for me! 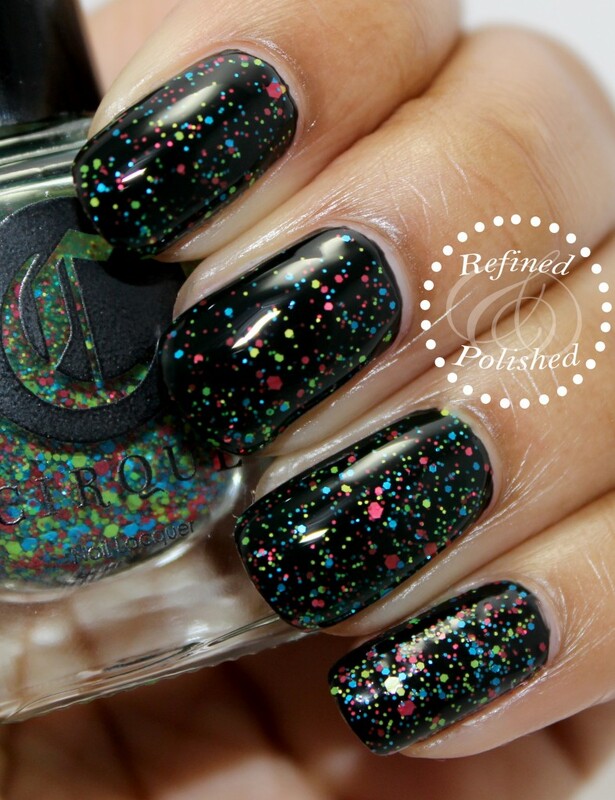 Cirque polishes can be purchased here.